Each and every one of us want to feel loved and desired. When we’re alone, we want to feel the comfort of another human being. It’s in our nature to want to find a suitable partner. This instinct doesn’t go away with a lack of mobility. People need love; without or without a wheelchair. Unfortunately, many people who are restricted to mobility devices find the dating world discouraging. There are many people who see someone in a wheelchair and immediately see past them. This is a social misconception that people who have a sort of disability aren’t as valuable as those who don’t. Some of that thinking is that people who use devices don’t have the ability to have relations or children. This isn’t true. More often than not, wheelchair users report that they have very healthy relationships, once they find someone who can see past the chair. The world of online dating has opened many opportunities for people who are dating with a wheelchair. This online world has allowed them to get to know other people who are comfortable seeing past their restrictions. This has given many people a boost of self esteem as they are starting to realize that they are capable of being loved. 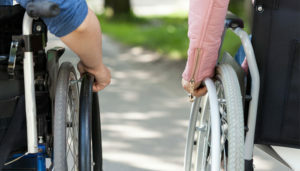 If you are considering dating someone in a wheelchair, you may be nervous. It may feel like there is a lot of responsibility on your shoulders. But, in reality there isn’t. The only responsibility you have is to be sensitive to their restrictions. This can range from not asking questions that may make them uncomfortable to considering their mobility when it comes to restaurant reservations. These same considerations should be made when you date anyone. It shouldn’t be restricted to dating someone who has limited mobility. There are minor details that would be different. Your options for where to go might drop a little bit, for example. You may get noticed more frequently as well. But these shouldn’t determine your willingness to date someone in a wheelchair. In fact, the only thing that should determine your interest is the compatibility. You’ll never know the level of compatibility you may have with someone if you don’t take the chance to get to know them. 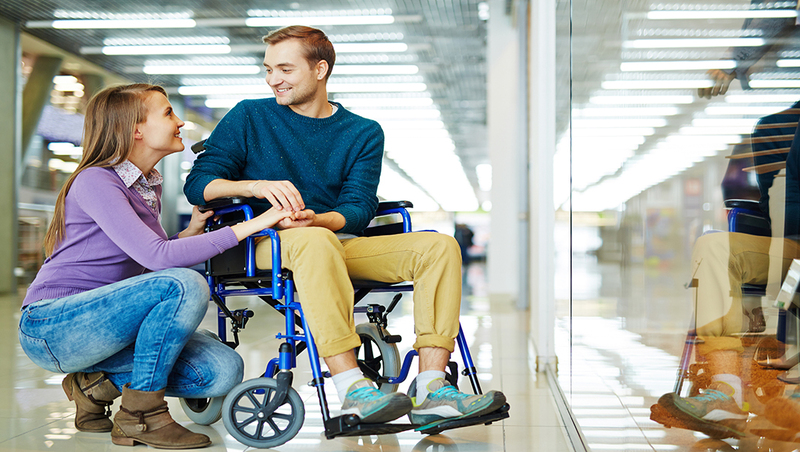 Many people with mobility devices are reporting a higher success rate since they’ve migrated to online dating. This is because behind the comfort of a computer screen or mobile phone, both parties can ask questions. If you’re considering dating someone in a wheelchair, this may be the best option for you. It allows you to get to know the person behind the chair. Ideally, each person is simply looking for someone compatible who can see past their restrictions and love them for who they are. This also gives you the chance to know if you’re up for the challenge that comes along with their restrictions. As mentioned above, you’ll be noticed more often. There will be some people who are judgemental of your pairing. It takes a strong person with a good heart to people able to rise to the occasion. Or, just someone who has met the right person and doesn’t care about their restrictions. Either way, dating someone in a wheelchair is hardly different than dating anyone else. Compatibility, communication and sensitivity are the ingredients to a great romance. It’s time to start mixing!